The difference is that drinking by itself affects no one but the drinker. Smoking by itself affects the people around the smoker. Big difference. There are only about 300 bars & taverns that will be affected by this new law, not anywhere close to 1000. Now, there are about 1000 or so restaurants and offices that are smoke-free that seem to be having no probelm with following the law. Why do you think businesses and citizens will not follow the law? Are all smokers law breakers? That doesn't answer the question I asked. Where is the Health Department going to get the employees to enforce the ordinance if the Dept is the "primary" enforcement body? You really think they have the staff to police the ordinance? Why do I think businesses and citizens will not follow the law? The same reason people don't follow speed limits, the same reason people don't report income on their tax returns, the same reason prohibition didn't prevent people from drinking. If I'm a business owner and I'm looking at losing customers if I enforce the law, you can bet I'd be hesitant at the least to enforce the law. Believe me, most of my friends and I are non smokers. It will be enforced if WE have to call the health department, code enforcement, police department, fire department or whomever is responsible. If the owners don't enforce it, they will have to suffer the consequences. Too much time and too much work has gone into this. In addition, Indianapolis is already about 10 years behind most major cities. In this post I didn't really address the issue of the merit of smoking ban, but just focused on enforcement. Nonetheless the flaw with your argument is that the people voluntarily put themselves in the position of being around smoking in bars. No one is forcing people to enter into a private business establilshment and be there where people are smoking. I don't like being around smoking either, but it's a choice I make when I go to a smoking bar. Art, you're assuming this is a smokers v. nonsmokers issue. I don't agree at all. I'm a lifelong nonsmoker and the last thing I'm going to do is call the smoking police on someone smoking in a bar. Paul, I really don't see the enforcement being some big problem. In a large city like New York, it is a problem. There's stories where, despite having one of the strictest smoking bans in the country, bars and nightclubs are ignoring it and facing no consequences. Initially, the smokeeasies in NYC were very secretive and now they seem to be out in the open. I remember reading Sahm's, which still lets in people under 18, just paid the fine for several months after the initial ban passed several years back. Eventually, they came up to some type of license renewal or bad PR or some such, stopped paying the fine, and complied with the law. Not sure how they did it (banned smoking and allowed minors, or banned minors and became 18+), but that's my vague recollection. I think art is right. People who care will report bars and hotels that break the ordinance. If people don't help enforce, the ordinance will be meaningless. If people do assist in enforcement, it'll have some meaning. Alcohol affects nobody but the drinker? Tell that to families of heavy drinkers and victims of drunk driving accidents. The number of people killed by "second-hand" drunkenness vastly exceeds the theoretical but unproven deaths alleged to be caused by second-hand smoke. Furthermore, contact with smokers in private business is entirely voluntary, while contact with drunks in the wild is quite the opposite, especially for the children of drunks. According to WHO, there are about 1.8 million worldwide alcohol-related deaths per year. What rational person will argue that those deaths affect no one but the drinker? Business owners should be able to decide for themselves. If you want to punish a business for allowing smoking, you can do so by not going. As a smoker (when I drink) I can see that I will be spending my money less frequently going out than I will staying in where the wine and beer selection is excellent and the food is typically better (and healthier) than most restaurants. I don't mind spending less by staying home. This is a slippery slope. Next government will tell restaurants they can't serve that rich cream sauce, fried appetizer, or sweet dessert because it isn't good for you! I think jumping the gun by wondering how enforcement will be done is premature & presupposes that there might be an unenforceable solution. The same argument was probably made when considering the limiting of age for cigarette & liquor sales, or jay-walking, or speeding, or practically anything else that would violate laws & ordinances. Somehow we still find a way to muddle ahead. As I have written before, my old man was a sheet metal contractor. Air systems can be built to provide efficient exhaust of smoke from a room. Smoking tobacco is legal. If a bar appeals to a clientele that chooses to smoke, let that bar operate as a smoking bar. If a majority of bar patrons choose to do business in bars where smoking is not allowed, theyhave exercised their choice. The State at least can allow a few establishments to operate where I--and others of such inclination--can enjoy our cigars with a drink. With all due respect to Paul, I do not see enforcement as a problem. If all else fails, ABC will leverage license renewals to implement its strictures. Otherwise, let me smoke my La Gloria Cubana Serie R Number 7 in Maduro wrap in peace. The 90 minutes or so of relaxation the experience provides me is legal. I find it ironic that some of the anti-smoking people would have different opinions if the matter were one of smoking pot---illegal although it should be legal--in a public place. It may sound amazing, but various studies have shown that it is, in fact, possible to drink without driving. The problem with your argument is that it forces the nonsmoker to choose between avoiding something they enjoy (like go to a bar to listen to blues, for instance) or imperiling their health and clothing. Not smoking doesn't hurt anyone. Smoking hurts more than just the smoker. The number of bars and restaurants that were nonsmoking before nonsmoking laws was statistically insignificant. The refusal of the market to respond to the wishes of nonsmokers is why the law was needed in the first place. There is no slippery slope. There is a clear line of delineation here. Smoking affects those around the smoker. Eating does not. I don't think enforcing the law would be this vast drain on public resources that you seem to make it out to be. I regularly frequent bars and nightclubs in cities where smoking is banned, including places in California, New York, Florida, Washington, etc. I have never witnessed smoking being a problem in a non-smoking establishment. If someone wishes to smoke, they step outside, or out on a patio or balcony. 99.9% of the people when told the rules of an establishment, such as no smoking, simply respect the rules and abide by them. The public policy behind a smoking ban is certainly a legitimate matter for debate, but throwing up this bogey man of enforcement distracts from the issue. As for enforcement, I would think the current existing Health Department workers who already go to establishments to inspect for other health and safety issues would be more than enough. If more inspectors are needed, then the City-County Council will do their job and make the decision to either reallocate funds from other areas to hire more works or raise fees or taxes--this is how things are paid for, it isn't rocket science or some sort of voodoo. I am not sure of the legality of enforcing the smoking ban through threats against the bar's liquor license. I'm not 100% sure that's a factor that can be considered during a license renewal. That of course would be the most effective enforcement mechanism. I don't think considering how a law is going to be enforced is putting the cart before the horse. That's the history of the failure of prohibition. They adopted a law with no consideration of how it would be enforced. Poor eating habits lead to obesity, heart disease, and a host of other problems that affect my insurance costs and other health care costs. You are dead wrong on this one Jeff, it is a slippery slope. Non smokers always had a choice to patronize non-smoking establishments, while smokers could find places that would accomodate them. No more, the government is now your nanny in Indianapolis. Uh, no. Nonsmokers did not always have a choice to patronize nonsmoking establishments. The number of nonsmoking establishments before the law was statistically insignificant. I disagree very strongly with you, Jeff. 'A refusal of the free market, that many bars did not ban smoking?' That's ridiculous to say that, especially when at least several dozen adult-only businesses permitting smoking entirely banned it on their own over the last few years, or opened up as non-smoking from the beginning(i.e. Crackers Comedy Club(both locations), Mort's Comedy Joint, Jazz Kitchen, Brothers, Scotty's Brewhouse, Buffalo Wild Wings-Broad Ripple, and recently MacNivens, Slippery Noodle Inn, Front Page, and Old Point Tavern. I know at least Libertine and Ball and Biscuit have always been non-smoking since the day they opened, and there are others I'm forgetting. that isn't a LOT of places already, for non-smokers??). Next time, please don't make such an untrue statement. And as for smoking bars, one will NEVER be forced to work in one against their will, or patronize one. If it's such a huge deal, one could've freely went to a no smoking bar. Of course since the antis on the CCC shamefully got their way(and I doubt Ballard will veto it, but you never know if he may find something minor in it that he dislikes, i.e. the private club provision that made them choose between children or smoking in the previous rejected proposal), it's a moot point to even talk about this anymore. Uh, the statement that before the ban the number of establishments in Marion County that were nonsmoking was statistically insignificant is absolutely true. Most of the examples you cite took place after the lesser ban was passed, after the bars could see which way the electorate was going and decided rocketry to lock in their customers before enactment. Besides, dozens of establishments were nonsmoking out of thousands in Marion County? Despite the fact that the vast majority of patrons are nonsmokers and the majority of the electorate here wants the ban? Sounds like a free market failure. You just helped make my point. Paul, I certainly understand the history of prohibition. And, I think the comparison is a bit off. Smoking is not banned entirely, only inside of public places. People can smoke outside, in private establishments that permit smoking, or in their own residence or car. Prohibition banned all alcohol consumption. There is also a different cultural attitude in our society about smoking compared to drinking. Most people do not smoke, whereas most adults consume some alcohol. Again, whether there should be a public smoking ban is certainly a legitimate public policy debate, but enforcement will not be the main issue. As I have mentioned, I have personally witnessed in places like LA, San Francisco, New York, Seattle, etc. that patrons of bars understand the rule of no smoking and they do not smoke in bars/nightclubs. I have never seen anyone smoke in a bar in those places, unless it was outside on a patio or balcony. One time, I was with a friend from Indiana in San Francisco, and he inadvertently walked into a neighborhood bar with a lit cigarette, and the doorman politely reminded him there was no smoking and he immediately apologized and put it out. That was the enforcement, and this was a popular, but small bar, not some big nightclub with a whole security staff. People simply followed the law. Yes, I understand that individuals can break any law, but most people and most business owners abide by all the applicable laws and regulations. However, your position seems to be based on the assumption that most people will choose to violate a no smoking law. Also, the city does have an effective enforcement mechanism that has nothing to do with liquor licenses. A bar owners has to have to have a business permit to operate a bar or night club, and the city could pull the operating permit of an establishment if it did not follow the law. Also, the law specifically allows the city to fine establishments that violate the law. Businesses will not want to pay fines or risk their operating licenses, and their employees will remind people of the rules. Several years ago, when I was in high school, I waited tables in a restaurant that chose to have a no smoking policy, and this was at a time when more people smoked than they do today. On the few occasions that a patron did not see the sign that said no smoking, one of the waiters or bus boys reminded them of the policy, and they just put their cigarette out. I also used to work in a bar that voluntarily had a no smoking policy, and enforcement was effectively done in the same manner. Tufty made Radio Radio non smoking back when you could still smoke at at all other venues. He had no problem packing the place (even when Fountain Sq. was not the spot it is today). My money is on lower revenue for bars as more people will choose to stay home or go home early. Wow. One bar? One whole bar? One whole bar was non-smoking? Well, obviously the 75% or more of the Mation County population that does not smoke could have and, according to smokers, should have all crowded into this one bar so smokers could light up anywhere else they pleased. Once again, market non-responsiveness. The market was not responding to the wishes of the vast majority of the population --nonsmokers -- which is why the law was and is needed. The fee market generally works well, but it is not perfect. See, e.g. telemarketing. Furthermore, I never said there were no non-smoking establishments. I said the number was statistically insignificant. Nothing anyone has said here refutes that statement. BTW -- The bars in New York City and Los Angeles seem to be doing OK with a smoking ban. Heck, last time I was in Manhattan the bars were crowded. Indianapolis would be no different. Jeff, the city's smoking ban didn't apply to bars, so I think the argument that the ban prompted bars to start going to nonsmoking isn't likely. Rather I think bars were increasingly becoming nonsmoking because that's what the clientele wanted. I'm not sure what the problem was having smoking and nonsmoking bars and allowing people who prefered one over the other the right to choose. Instead we want to tell a private business owner they can't allow a legal activity on their property even though smoking and drinking have been linked for centuries. What I find really off base when people tell business owners that they don't know what's best for their business. Why trust the business judgment of those who haven't invested a dime in the business versus someone who has spent hundreds of thousands on that same business? Enforcement is not a concern in this case any more or less than in other cases. If you voilate law, ban, policy you will face consquences. As for the world afraid of "Big Brother" and pointing out the "failure" of prohibition, you need to try to first excercise some rationality. Prohibit was repealed due to the crime that it created or enhanced, known casually as "organized" crime. It is very unlikely or concievable that the banning of smoking will lead to such a dilemma. As for our rights, try applying simple problem solving skills, reversal. If smoking wasn't allowed in bars, restaraunts and other places where the public could be, what rational reason could you provide for making it allowed. There aren't any. And yes, drinking and driving is not a good thing, and I am also sure that more people drink and drive that not having come from a bar than do. Allowing smoking in public is the rational equivalent of drinking and driving. Others are in harm's way by being in the vicinity of the action. I don't hear any of you saying it is okay to drink and drive, and none of you are complaining about "Big Brother" where this is concerned. So quit acting like spoiled little children wanting attention by stirring the pot and trying to make this out to be bad. No harm will come from this change, not even to bars, who don't make any money by selling cigarettes. This conversation seems to be focused on the people being able to choose if they go to a smoking bar, or one that does not allow it. Nobody has mentioned the people that work at the bars. These people are forced to work in an environment that they are around 2nd hand smoke for hours on end...whether they smoke or not. These might be people that are working two jobs and might cling to a job in a smoke-filled bar to survive. What is a more rational move...making a hard-working person go look for another job that is in a non-smoking environment, or asking a smoker to walk 10 feet outside the door to light up? If you are a smoker and make the claim to the "right" to smoke at the expense of workers' health, you are either lazy or inconsiderate...probably both. This "ban" will not hurt businesses because it is for ALL bars. You conveniently neglect the fact that thousands of municipalities around the country have enacted smoking bans for decades and we thus far have not been overrun by so-called "acts of civil disobedience" by overzealous barkeeps who look the other way when a patron lights up. No, the fact of the matter is that once such smoking bans go into effect, patrons themselves become the de facto enforcement authority and keenly alert the proprietor of such violations which spurs him/her to action to address such activity. I'd like to think that the smoker population is a dwindling one. But figures show that the youth are smoking than the previous one. Will this cover all kinds of smoking? I've been reading e cigs reviews and it says there are no harmful side effects. You may have a point there. No matter how tough the enforcement, there will still be those who continue to smoke one way or another. Considering this, the city might want to promote e cigarette liquid as a safe alternative while keeping a hardline stance with tobacco. That should lessen any possible conflict. Being a skimpy bar staff whose job is a doorman, it is our responsibility to enforce smoking ban inside and outside the bar. 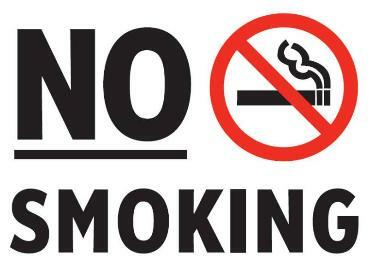 This is for following the ordinance within our area about smoking ban. I'm actually a little curious to see just how tough the enforcement is. Personally, this should be strict enough to force even hardliners to resort to hypnotherapy to stop smoking. Enforce the ban and also introduce e cigarettes to the public. Creating awareness that this product suffices their so called "craving" to smoking and it reduces the risk of getting cancer by 90%. It can be a deciding factor that smokers will likely to consider. Smoking bans were introduced in Australia a long time ago. There was a lot of out cry but I think most people have come to accept them. I run a hypnotherapy clinic in Australia ( Hypnotherapy Sydney )and noticed a large increase in clients wanting to stop the craving for a smoke while social drinking due to the bans.